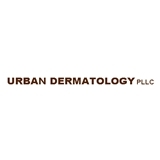 Urban Dermatology, PLLC (New York) - Book Appointment Online! Dr. Goldberg is committed to providing the finest medical, surgical and cosmetic skincare. The office of Urban Dermatology is easy to find and conveniently located in Soho. Please be advise there is a 24 hour cancellation fee. Dr. Goldberg is always polite and knowledgeable.